It is with great sadness we announce the passing of Michael Wayne Andrews which occurred at the Saint John Regional Hospital on Wednesday, October 31st, 2018, after a courageous battle with cancer. Born 1958, in Saint John, he was the son of the late Charles and Elizabeth (Bacon) Andrews. Mike worked for the City of Saint John for 27 years. He enjoyed wood working, spending time in the “Sip n Saw”, and being outdoors. Mike was an avid Pro-Line player and he cherished every moment spent with his grandchildren, they were his pride and joy. 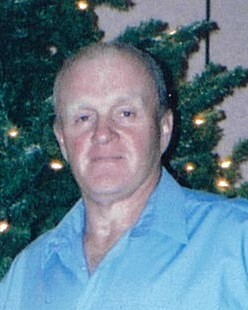 Mike is survived by his loving and devoted wife Cindy (Hickes) of 28 years; sons Jeffrey W. (Hollie) of Shilo, Manitoba, Jeffrey B. Rogers of Saint John; daughter Sandra Scott (Andy) of Moncton; brother Dave (Lynn) of Saint John; grandchildren Carter, Savannah, Alexis, Eden, Cassidy, and Reuben; cats Merle and Willie; as well as several nieces, nephews and friends. Arrangements are under the direction of Fundy Funeral Home, 230 Westmorland Road (646-2424) with visitation being held on Friday, November 2nd from 2 to 8 p.m. A Memorial Service will take place at the Fundy Funeral Home chapel on Saturday, November 3rd at 2 p.m. A private family interment will take place at Ocean View Memorial Gardens at a later date. In lieu of flowers, donations in memory of Mike may be made to the Canadian Cancer Society or to the charity of the donor’s choice.